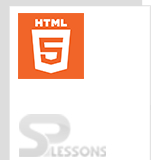 Present chapter HTML5 Tutorial gives the basic idea about HTML5. HTML stands for Hyper Text Markup Language, HTML5 is the latest version of the HTML which is highly recommended language for generating the Web Pages. Following are concepts covered in this chapter. HTML is the first web browser introduced in 1993 but the standard version of HTML introduced in 1995. Later several versions of HTML was introduced and still people are using HTML 4.01 then a new version of HTML5 First Draft announced in January 2008 now a days many organizations are working with the HTML5. HTML5 reduced the Photo shop and Flash applications and developed some tags to reduce the long script code with a simple tagging by using <details> and <summary> tags. User can use features of 3D image by using <canvas> tag. HTML5 have many useful features in order to build a website. Following are the some of the features in HTML5. Server Sent Events (SSE) events moves from web server to web browsers. User can include Audio and Video on web pages by using these events without using third party plugins. In order to add the own content to extend the web pages user need to use Micro Data Event. Geolocation provides user to share their location with web application. Drag and drop provides provides drag and drop on same web page. Web browsers by default have some inbuilt installed features of HTML5. To develop and execute HTML, Notepad or Notepad ++ are the best editors. Notepad is very easy to use which creates user friendly environment. Following steps demonstrate creating a new HTML file. 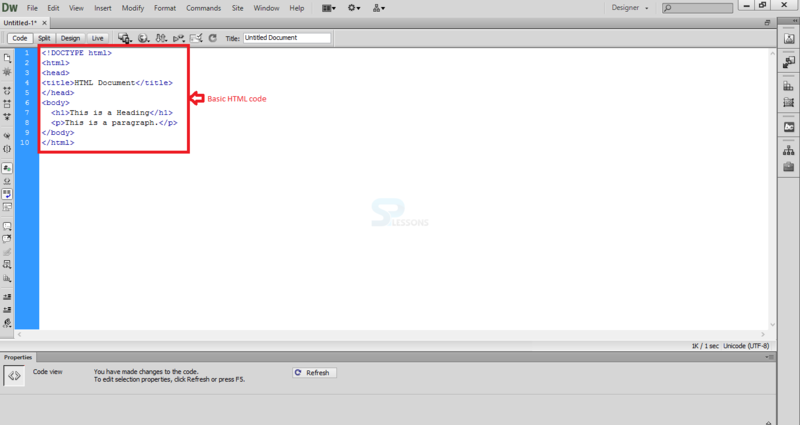 Open the Notepad or DreamWeaver and write some basic code as shown in below image. In order to run the given code user need to save the code with .html extension for example Index.html as shown in below image. User can run the above code in any preferred browser in order to get the output as shown in below image. HTML5 have many more built in features. HTML5 is latest and advanced version of HTML. Notepad is the best editor for HTML programs. While saving the programs .html extension is mandatory.